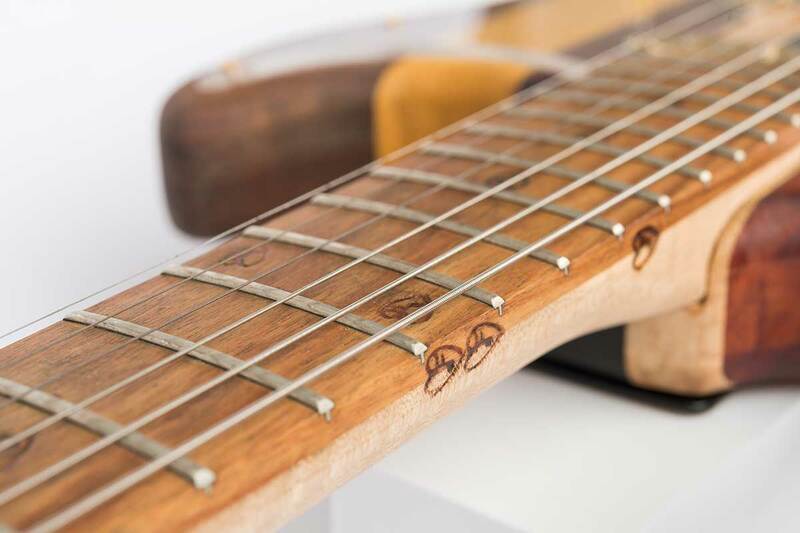 A plethora of exotic woods is magically joined together in this piece which features a 2” thick and 1” wide strip of solid genuine ebony. 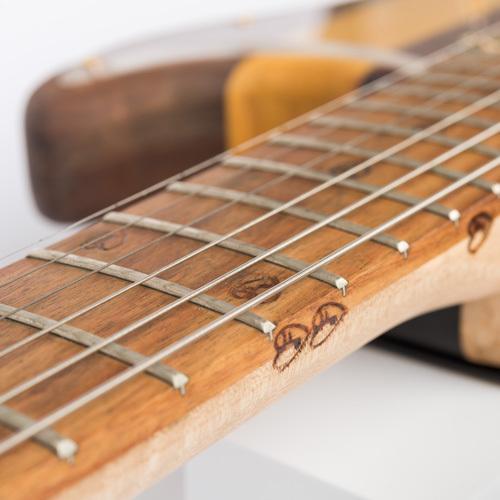 You won’t find much more than a fretboard’s worth of ebony on any mainstream guitar. 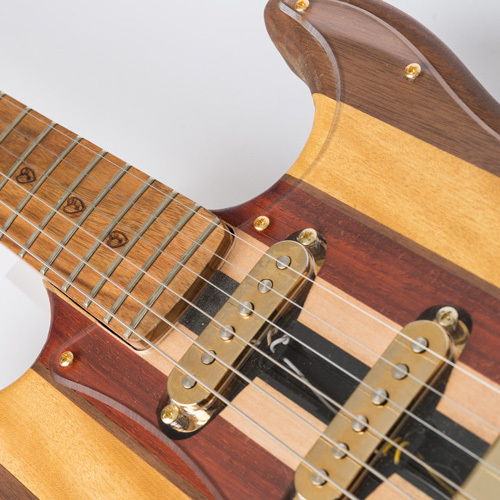 The rock solid density of the ebony is reflected in the bold tonal quality that emanates from this guitar. 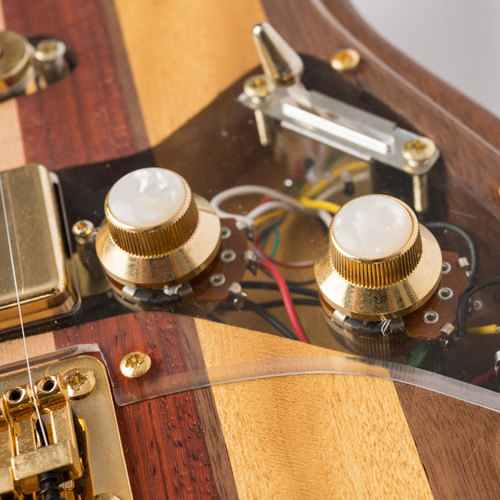 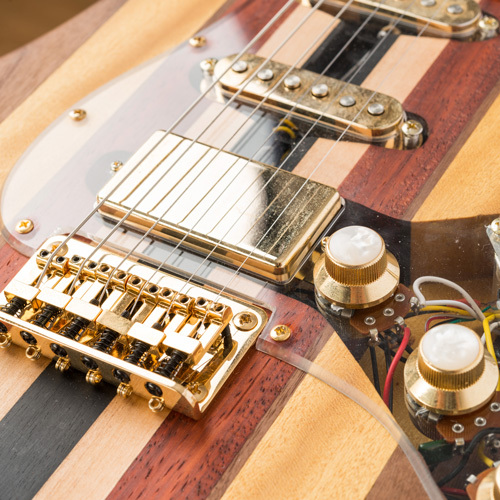 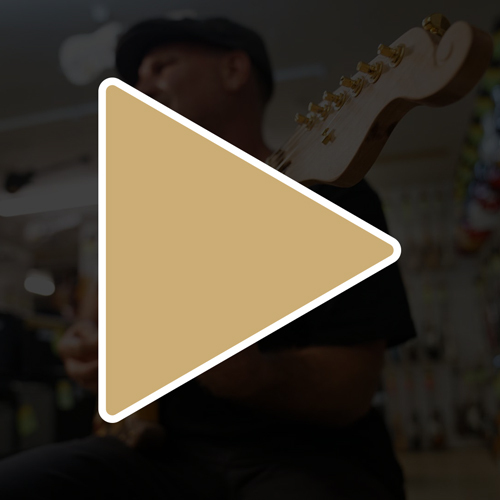 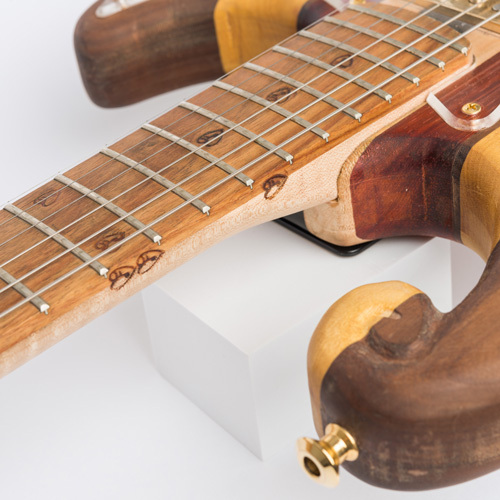 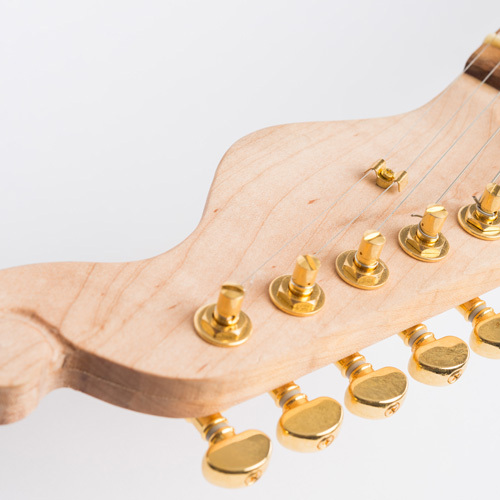 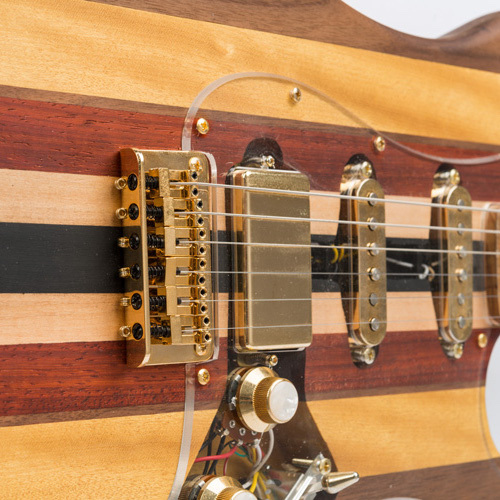 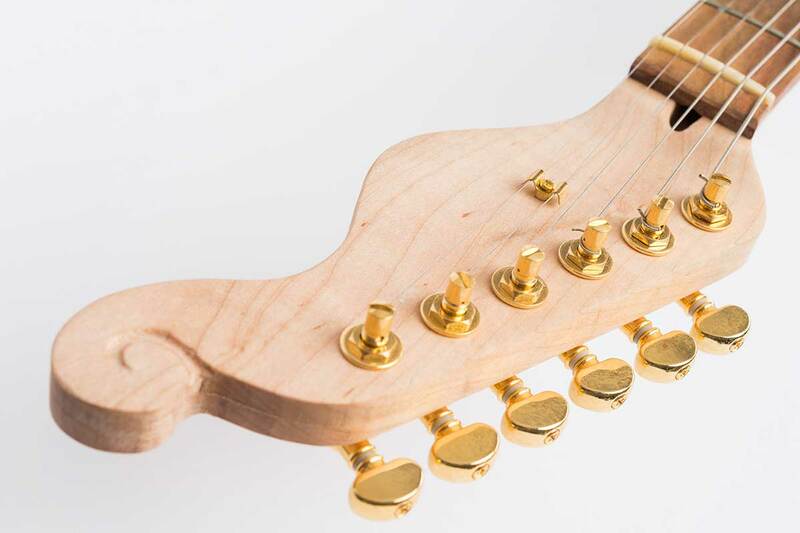 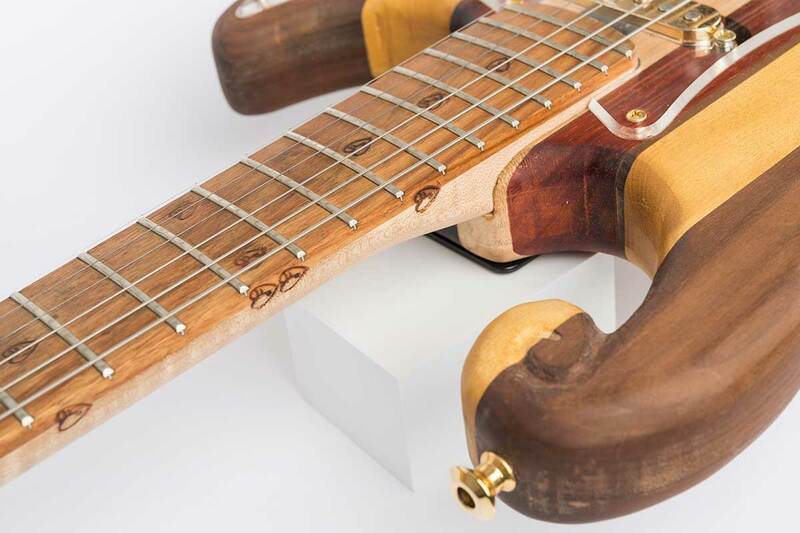 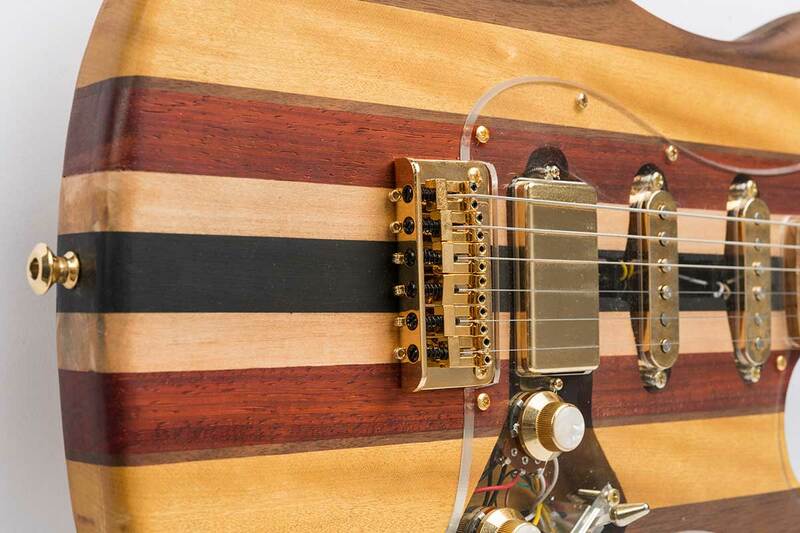 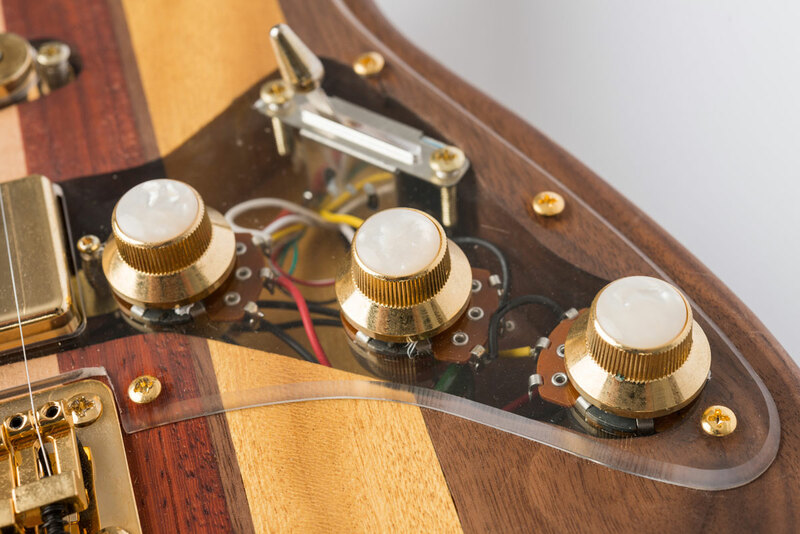 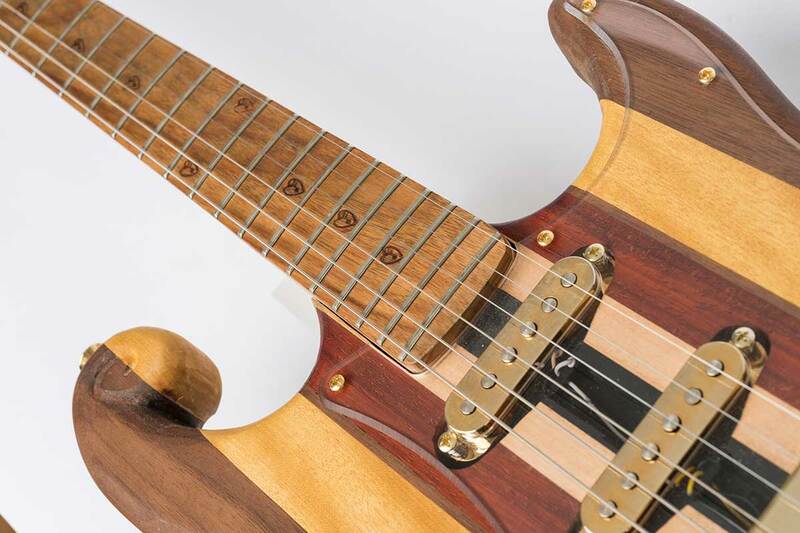 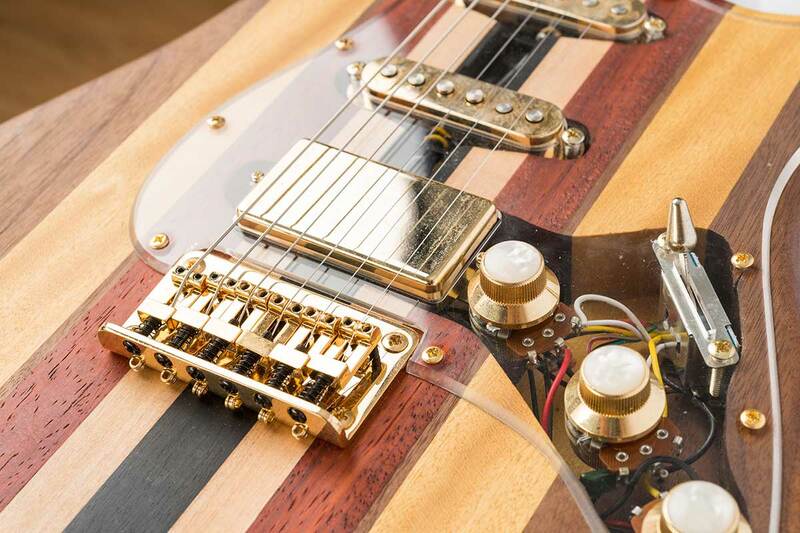 The transparent pickguard allows you to see the “guts” of the electronic components as well as the full striping of the woods, bringing about a marriage of industrial style with organic, earthy, raw natural beauty.